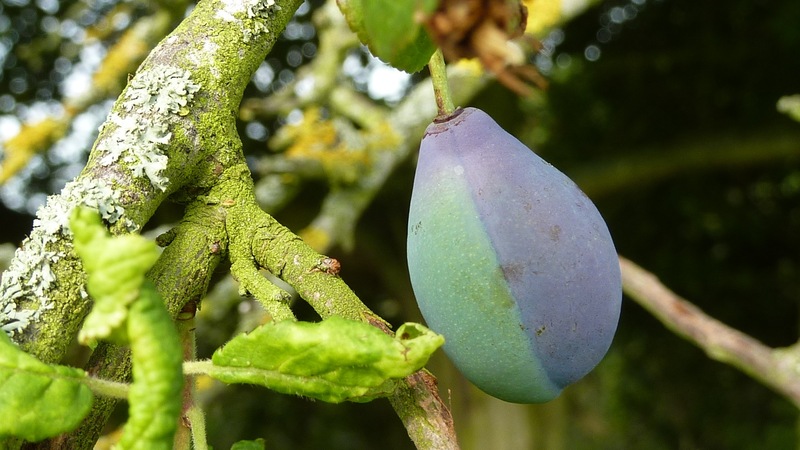 A two-toned Shropshire Prune damson growing in my orchard, August 2013. Over several days I noticed many more damsons on different trees in that same ‘two-toned’ way. I’ve never seen this anything like this before. If you are a plant scientist and know what this colouring is all about I’d be grateful if you’d leave a comment and throw some light on this phenomenon.